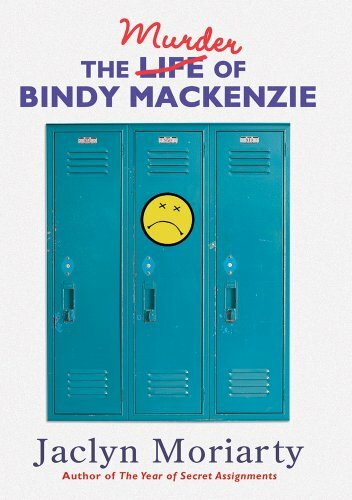 # of Pages: 494 p.
Bindy Mackenzie is a very studious and conscientious high school student. She is the type who always gets the highest grade in the class and is not afraid to tell anyone what she thinks. Due to her frank and curious nature she has sometimes alienated students around her. This year all juniors are required to take a Friendship and Development (FAD) class that she finds useless and a waste of time. The class asks her to look back at her own life so far and reflect on what she sees. She finds that she is not happy with her relationships and becomes obsessed with making friends in her (FAD) class. As she focuses on this more and more she loses sight of everything that was previously important to her. She also starts to get really sick. Can she pull herself together to become the person she realizes she wants to be or is it too late? This story is told through Bindy’s journal and includes diary entries, memos, emails, essays, and even transcripts of conversations she has heard. Bindy records every thought and interaction she has every day. As she struggles with her home life, school life, and health her journal ramblings can seem a little superfluous but in the end everything makes sense as the surprising ending unfolds. Students who make it through some of the mundane chapters will be pleased with how the story ends and will appreciate why the mundane portions of the book were important in order to piece together what happens to Bindy. The story also discusses many issues that teenagers face everyday and shows students that there are many ways to deal with those issues, some more effective than others. # of Pages: 635 p.
In this sequel to Inkheart, Meggie is living with her aunt Elinor, her father Mo, her mother Resa, and the reader Darius. Meggie desperately wants to visit the Inkworld where her mother lived for so many years. She has heard about the magical creatures and interesting characters and landscape and desperately wants to go, but she knows her father would be upset. Mo doesn’t even like talking about that place. Meanwhile, Dustfinger has found someone who claims to be able to read people into books. He wants to go back along with Farid, but in the end only Dustfinger goes. Farid finds out it was a trick set up by Basta, the villain who got away in the first book. Now Farid sets out to find Meggie in order for her to read him into the story to reunite with Dustfinger. When Meggie hears his proposition she decides to write herself into the story as well. This is just the beginning of an ever evolving story. This story takes place mainly in the magical world depicted in the book Inkheart, unlike the first book that took place in the real world. Many new characters are introduced and familiar characters change and evolve. The twists and turns of the story make sense and instill a fun sense of adventure and a hint of fairy tale aspects. The book was long and despite that the ending seemed rushed. It is clearly set up for another book to follow this one. If that was the intention all along Funke should have cut off this story a little sooner. It seems like she had a hard time deciding where to end this one and begin the next one. Those who liked the first one will probably like this one even more because this new world is fun and exciting. Grace “Ace” Kincaid is a world renowned tennis player known not only for winning major competitions like Wimbledon, but for her many endorsements and modeling jobs. One day Grace decides she is very unhappy with her life and asks her mom if she can quit everything she is currently involved in, including the US Open. Her mother readily agrees and works on transforming Grace from a blonde bombshell into a red headed punk chick. As part of this plan, Grace must move to Alaska for three months with a friend of her mother’s in order to avoid the paparazzi and relax for awhile. 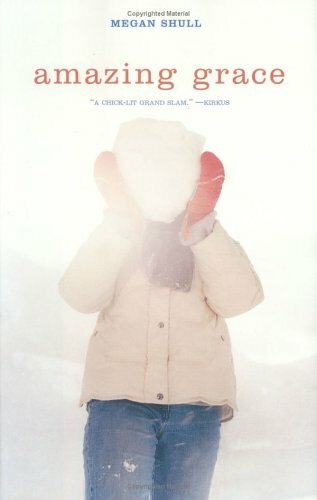 In Alaska Grace becomes Emily and finds the small town of Medicine Hat to be very welcoming and enjoyable despite its lack of the luxuries she has gotten used to. As time goes on she makes a best friend and a finds a special boy, but her past is still chasing her and she must face the life she left behind. This story is unique and interesting in many ways. It can be hard to imagine why someone would leave her glamorous life for the simple one she goes to, but it is written in a way that the reader understands why she felt she needed to make the changes she did. It’s inspiring for anyone, but especially young adults who are battling all kinds of pressures for their futures. Recommended. D.J. works constantly on her family’s dairy farm since her father hurt his hip. Her mother was forced to take an extra job in order to earn more money and her older brothers have not spoken to the family since Christmas. Running the farm, with some help from her little brother who doesn’t speak, has been difficult for D.J. because she feels like she just goes about her day doing what she is told. One day, Brian, from the nearby rival of D.J.’s high school comes to work because his football coach feels he needs to get tougher. Things do not go well at first, but eventually D.J. starts training him for football. D.J.’s two older brothers were fabulous football players so she knows what it takes to succeed. As D.J. and Brian become closer it begins to get complicated as her best friend stops talking to her and she decides to try out for her own high school football team. In a place where everyone does what they are supposed to and never speaks up, D.J. decides she wants to do something different and begin saying what she feels. This story asks many questions about communication, goals, responsibilities, and loyalty to family. D.J.’s family never spoke about anything they were feeling because they didn’t want to start fights, but that just meant they ended up not saying anything. As D.J. realized how unhappy she was always doing what she was supposed to and not what she wanted she decided to make some changes. Everyone must learn to balance responsibilities and desires and this book reminds us of the choices we make everyday that guide our lives. A well-written story that young adults will enjoy.